If you have a rope, you should have a rope bag was what I was told on my lead climbing course earlier this spring. 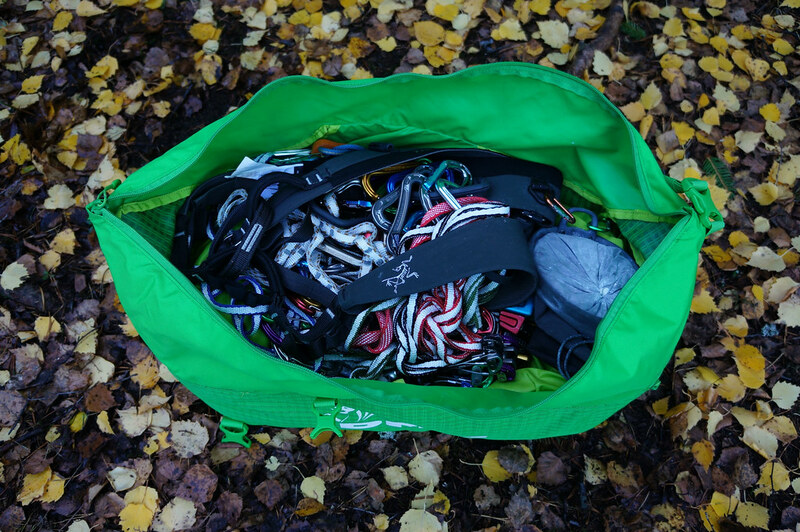 There’s some good reasons for that: It’s easier to transport your rope plus it stays clean & sorted at the crag. 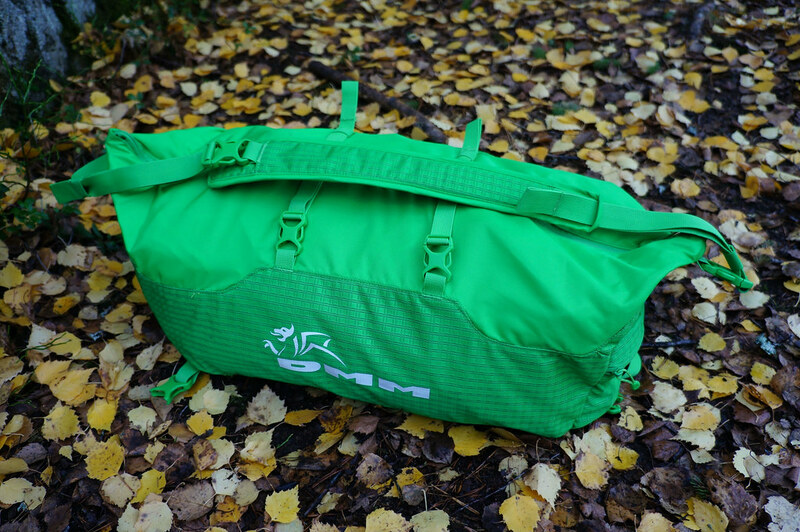 I settled for the DMM Classic Rope Bag, which holds a lot more than just a rope, and is very comfortable to carry. 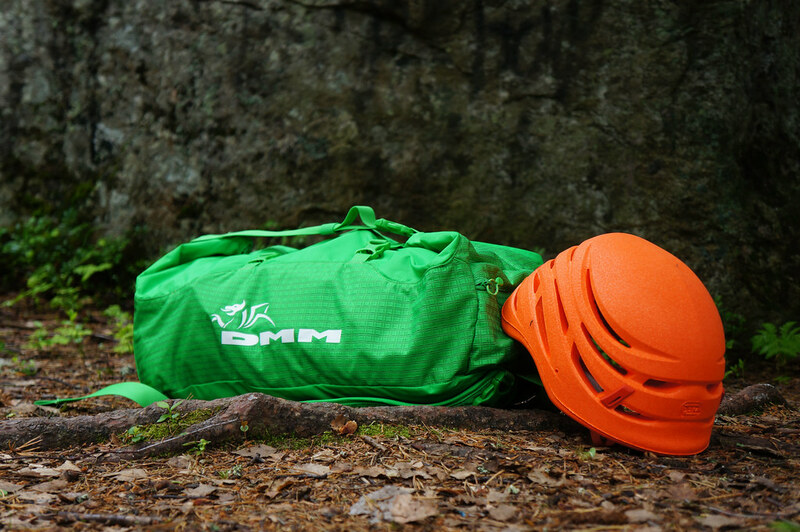 I’m a sucker for DMM’s high quality gear, so it was an easy decision to get their Classic Rope bag. 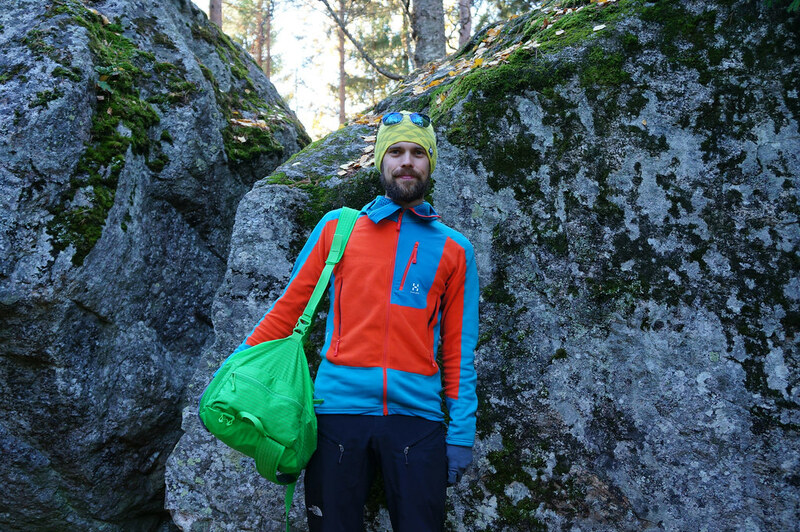 Being a Finnish climbing association member I even got a nice 10% discount on the bag as I bought it at Camu down in Helsinki. You can choose from four nice colours, and I settled for the green one. That’s the pack in backpack mode. The left shoulder strap, as you can see, has a buckle on top and at the bottom. The closed top which helps to compress the content. Magic. Nah, not really. 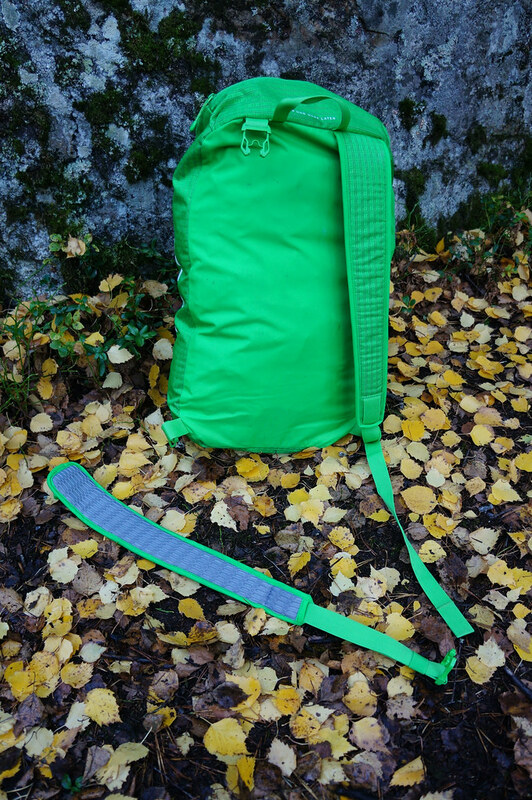 The shoulder strap is now connected to the buckle which you saw in the above photo. “Why would I need a backpack that can become a shoulder bag?” you might be wondering. 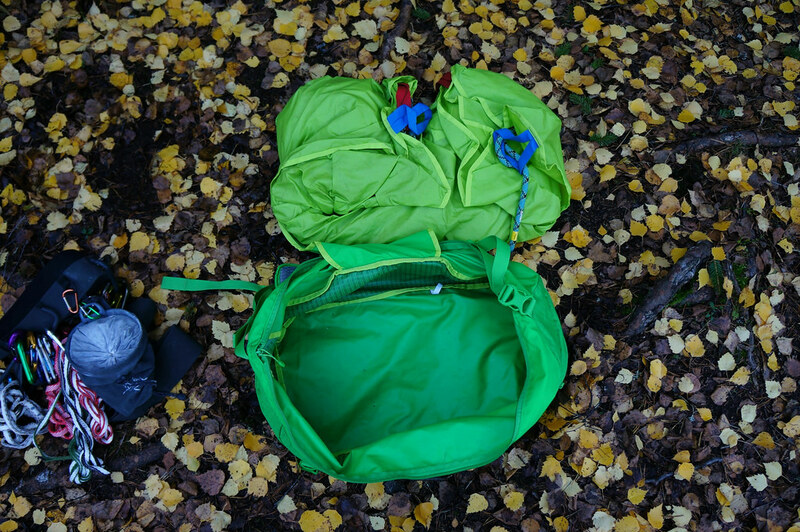 Well, for a sport climbing day at the crag you can fit your rope, harness, shoes, a set of QDs and water in there, as well as a Topo Guide - all you need. 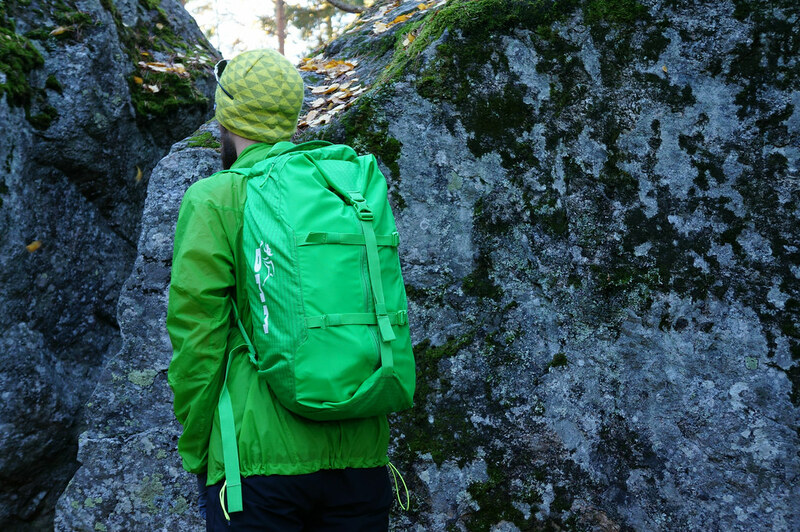 Then you can wear it in backpack mode to the crag. However, if you want to go Trad climbing, you will need a tad more gear - cams, nuts, torque nuts, which all takes more space. 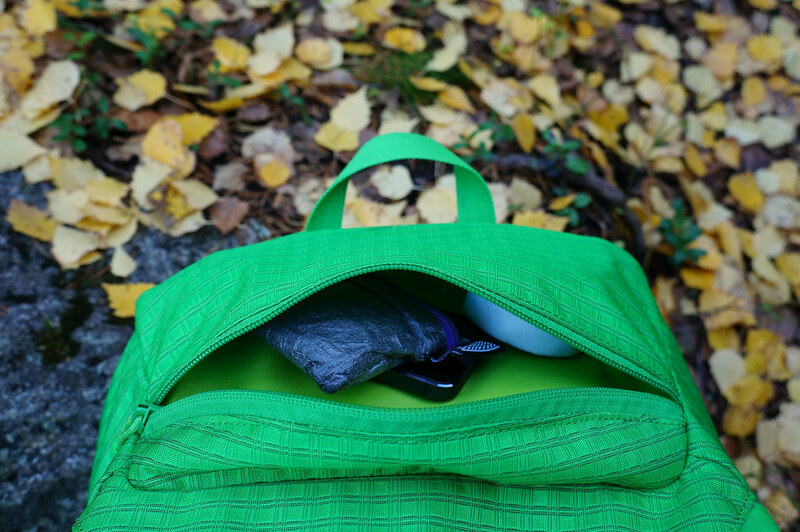 In that case you can either stuff all that gear in the DMM Classic Rope Bag, as I do, and transform it into the shoulder bag and take an additional backpack along for other stuff - water, sandwiches, camera gear - and then you can carry both without problems. Because it’s a lot more comfortable to carry a backpack and a shoulder bag instead of two backpacks. 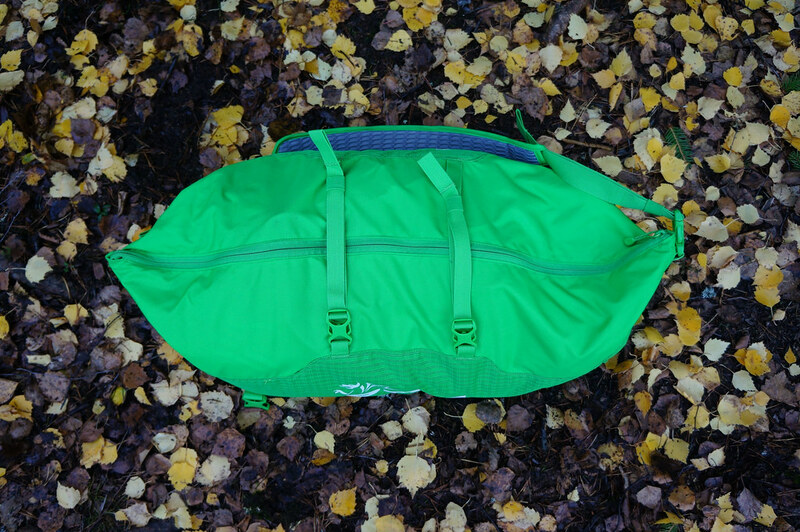 The tarp is a good size - 110 x 130 cm - and has four colour coded loops so the rope(s) stay in order, even twin/ half-ropes. Speaking of ropes, the bag can take a 80 m rope without problems with room to spare. 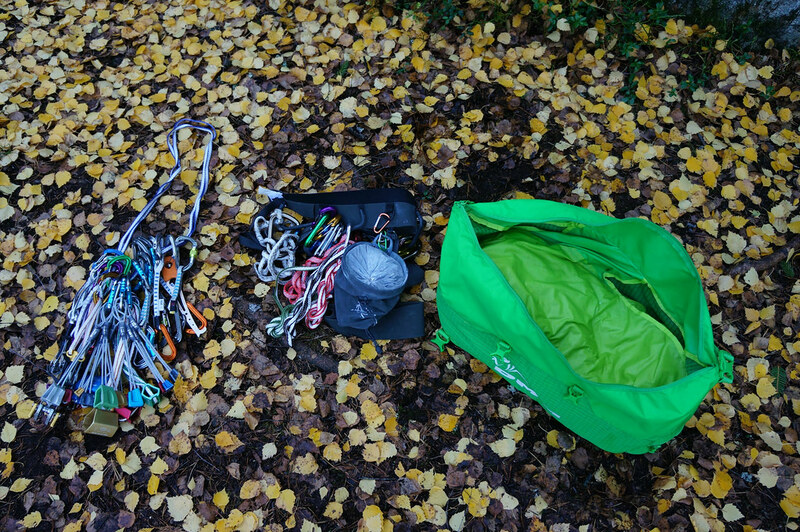 I have used my 70 m rope and all my trad gear in there. 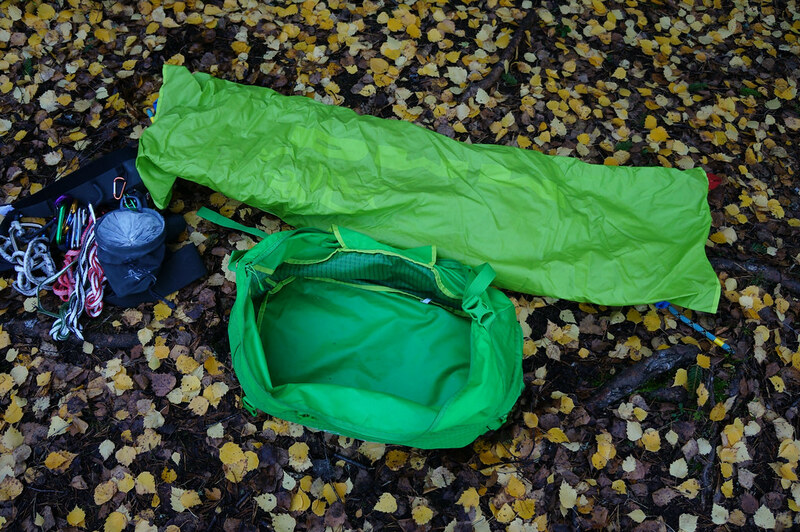 The tarp (and backpack) has a 1000 mm hydrostatic head, so keeps moisture and wetness away from the rope when the ground is wet. 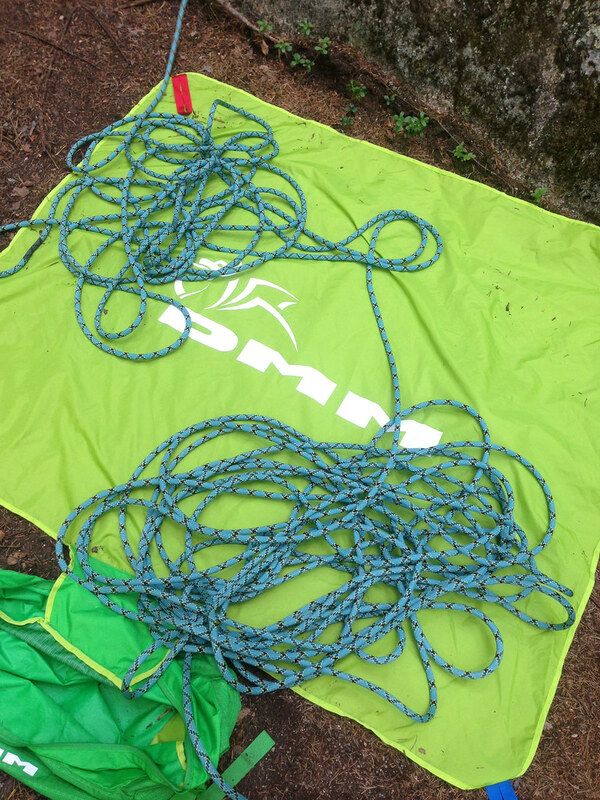 Tarp with rope folded together. Close the zipper, pull the compression straps tight, go to the Pub and have a beer. In case you don’t want to throw in your smartphone, keys and wallet in the main compartment, DMM has thought ahead and added a zippered valuables pocket. It will hold all your valuable and not so valuable stuff away from metal gear which might scratch it otherwise. That’s it, really. 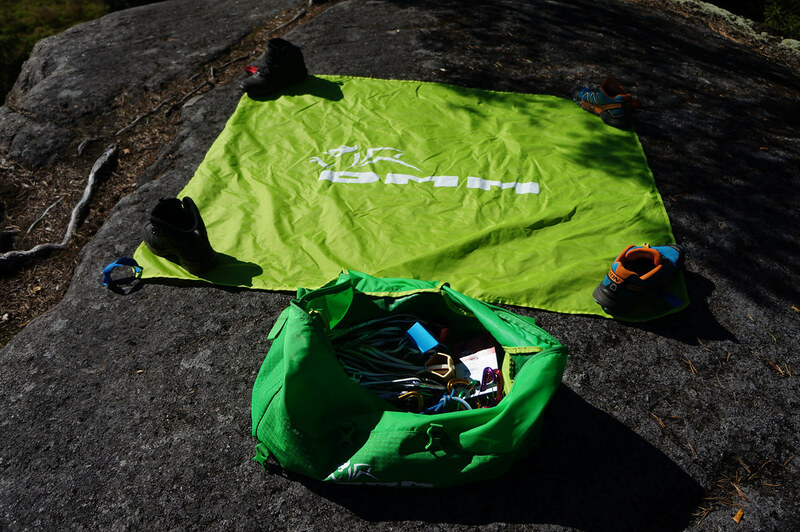 There are plenty of rope bags, some are lighter, some are cheaper, sometimes you even can get a free one if you purchase a rope, but the durability, quality and ease of use of the DMM Classic Rope Bag are hard to beat. It comes at a good price, too. I’m really happy with it, and look forward to many years climbing with it. Two thumbs up. 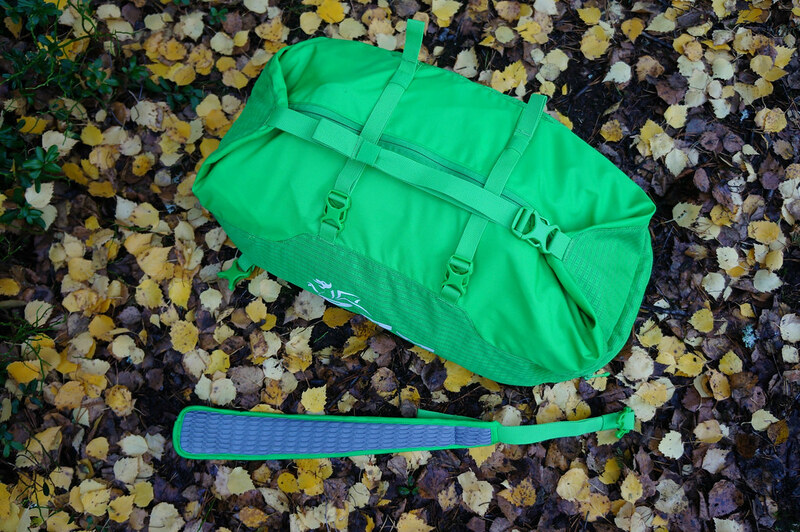 You can buy one at Bergfreunde, Camu and ask for it at Backcountry.com and CampSaver.com. And now go climbing. 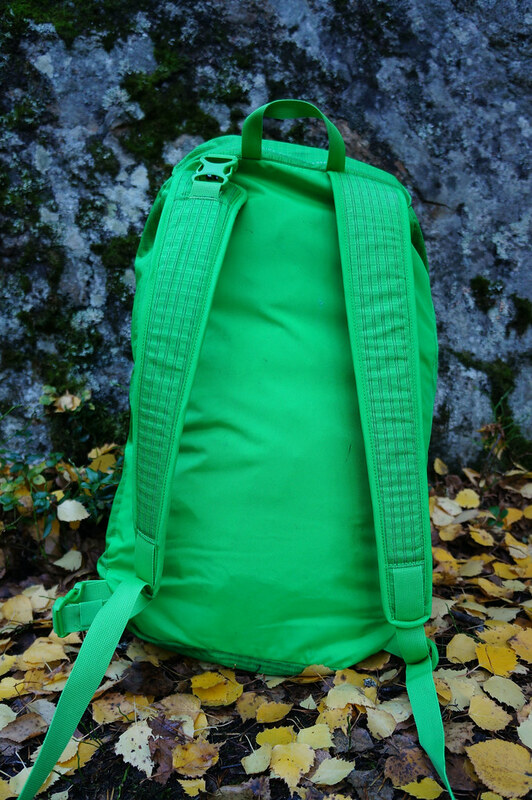 If you do a lot of Trad climbing, maybe consider waiting for the Vector trad pack. 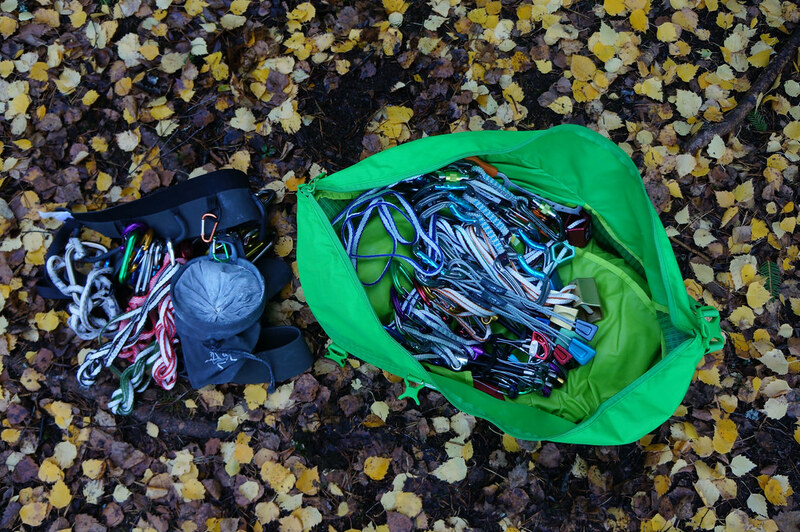 It allows for easier trad gear organising!